The lawsuit, filed Friday in U.S. District Court in Brunswick, is the latest attempt to address what critics call a “two-tier system” for relatively minor offenses — such as loitering, drinking in public, misdemeanor traffic crimes, and the like. Critics say defendants with money for bail can avoid jail or get out quickly, while those who are broke remain behind bars. 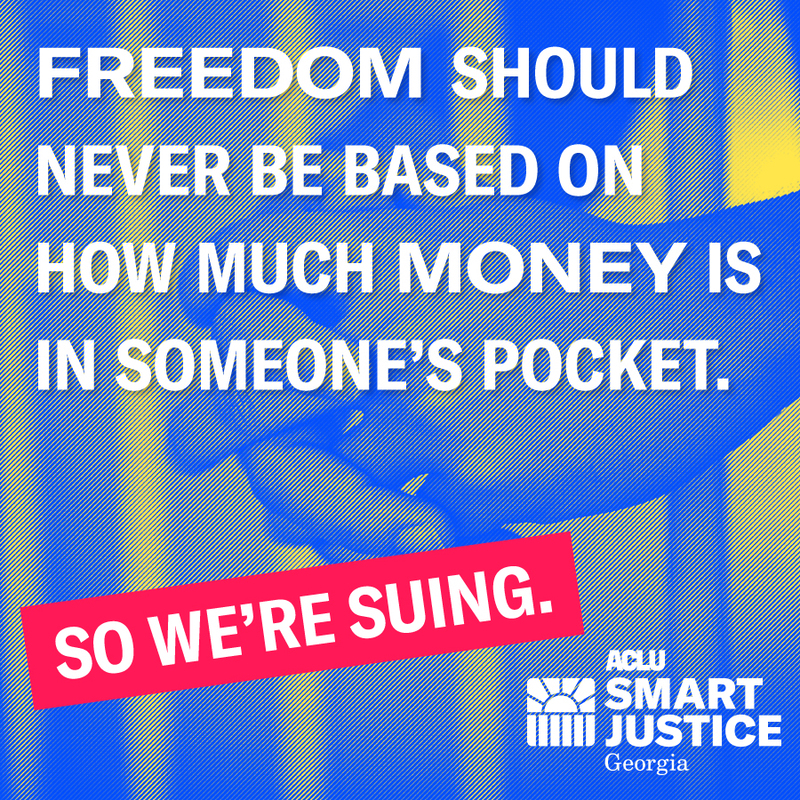 Pre-set bail schedules have been a topic of litigation elsewhere in Georgia. Atlanta recently adopted a new ordinance designed to abolish bail for low-level offenders in Municipal Court. And pre-set bond is the final chapter in Gov. Nathan Deal’s criminal justice reform in legislation pending before the Legislature. “People who cannot afford to pay bail or hire a private attorney face an impossible choice: plead guilty, or face loss of their families, jobs and homes as they wait for their cases to move through the system,” said Andrea Woods, an Equal Justice Works Fellowship attorney with the ACLU’s Criminal Law Reform Project. Atwood said the bail system was in place when he was elected to office in 2017. Glynn County Sheriff E. Neal Jump said, “I don’t have a comment on it yet,” explaining that he had not read all of the complaint. Misdemeanor public defender Reid Zeh did not return phone calls seeking comment. The lawsuit contends the three officials violated indigent defendants’ their constitutional right to be free from illegal searches and seizures. It asks that the federal court allow the complaint to apply to all poor people who come before the Magistrate Court in Glynn County and not just the two people who filed the suit. The court document said investigators found that in just three months, at least 122 people were held in jail while their misdemeanor charges were pending. Those 122 people included Margery Freida Mock and Eric Scott Ogden, who were arrested Wednesday on a misdemeanor charge of criminal trespass while trying to visit Ogden’s grandmother at a local motel. They remained in jail Friday. Both are homeless and are being held on bonds of $1,256 that were automatically set. Sean J. Young, legal director of the ACLU of Georgia, said there is a hearing set for Thursday in federal court in Brunswick on a request to have the two released from jail and to temporarily stop the Glynn County court from ordering anyone else held only because they cannot post bond. According to the lawsuit, defendants can be held in jail for days or even weeks before seeing a judge. The lawsuit complains that at a first appearance in court, Atwood simply reads defendants their rights and confirms the bail amount, and occasionally asks about their ability to pay. Defendants don’t necessarily have attorneys for those hearings. The next time they go before a judge is for a weekly hearing called “jail pleas” in State Court. The sheriff is complicit, the lawsuit argues, because he automatically holds people who cannot pay to get out.